Welcome to JewishEvents.us - We are the Jewish Event Calendar of South Florida. Published as a service provided by PR Maven Jay Shapiro who runs multiple event calendars in our region and finds synergy and reciprocity with events, business and philanthropy. Jay is founder of Luxury Chamber of Commerce which is a for-profit networking group which brings a charitable benefactor on board once per month to host a charitable event and give a little tzedakah! Members of Luxury Chamber of Commerce can submit events to this calendar FREE of charge (once per month) Non members can either become a member or purchase a PR package / calendar listing. The events posted here are not always kosher!! Many of the events are secular and some may have religious backing. Examples of such events could include: Rabbinical guest speaker coming to town, festivals, federation events, Jewish social (singles) events, orchestra or opera events. 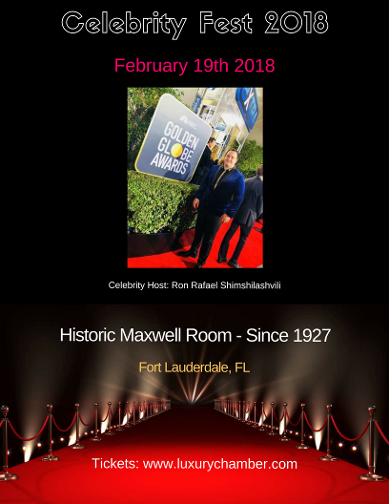 Some events posted here may be charities which are not targeted solely to the So FLA Jewish community such as Unicorn Childrens Foundation or any number of other galas so prevalent in our area. Give of your largesse!! Post your event, get involved! Let us help!! !